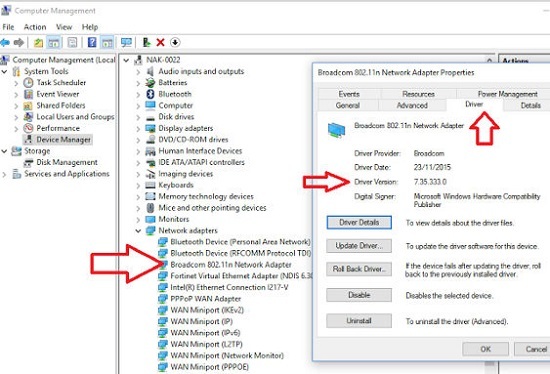 In this article I will show you how to resolve the BSOD driver_irql_not_less_or_equal Windows 10 which will appear on any windows 10 machine. This happens when the operating system failed to address the system memory correctly. This is usually caused by some sort of an issue with a devices driver or a file that has been corrupted. Your system will crash at random times and will display the error message shown to the left. Below is a youtube video I created which shows you all the steps to resolve the BSOD driver_irql_not_less_or_equal Windows 10. If you have any questions or feedback for this driver_irql_not_less_or_equal Windows 10 BSOD article please post them in a comment below. The good news is that we get a lot of information on the blue screen of death screen which we can use to troubleshoot and fix this issue. 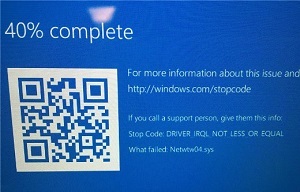 The first thing we can see is that the Stop Code: shows an issue with driver_irql_not_less_or_equal we can see on the microsoft web site that the driver_irql_not_less_or_equal stop code is related to a kernel-mode driver that attempted to access a pageable memory at a process IRQL that was too high. Below the stop code we can see which file caused the crash. In the screenshot above we can see the “netwtw04.sys” caused this crash. We now need to find out what driver uses this file so if you google the file name you will be able to find out. I can see this file belongs to the intel network driver. Below is a list of the most common files to cause this driver_irql_not_less_or_equal stop code on Windows 10. Now we know which file is causing the crashes we can now resolve this error. We now need to see if there is a update for the driver which uses the files that is causing the crashes. First we need to see what version of the driver we are using. 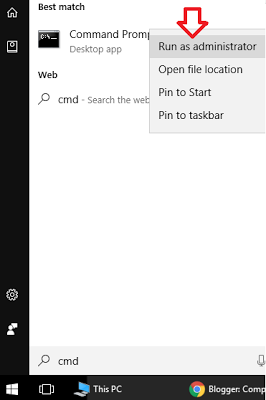 To do this click on the windows 10 start menu and type in Device Manager and hit enter. 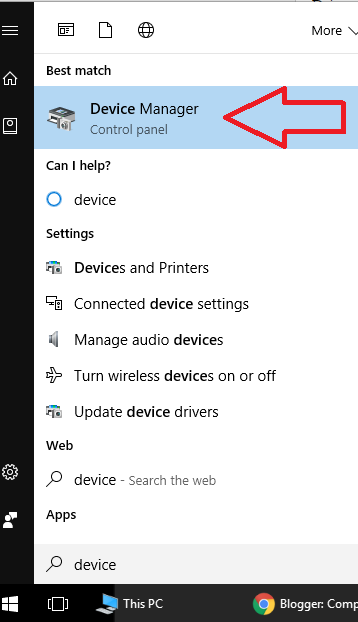 Next find the device you are looking for and right click on it and select properties. Then in the window that pops up click on the driver tab and take a look at the number next to the “Driver Version” Below we can see my Broadcom 802.11 Network Adaptor is using driver version 7.35.333.0. Install a Newer Driver – Now we need to visit the Broadcom website to see if there is a newer driver we can download and install. 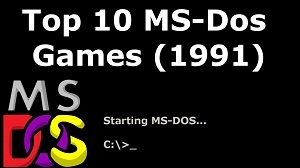 If there is a newer version download the driver and install on to your system. Reboot your system and hopefully the issue is now resolved. If not resolved continue to the next step. Re-Install The Current Drivers – If you already have the latest drivers installed we will uninstall the current drivers and re-install. 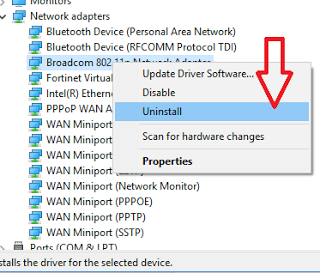 Go in to device manager and find your device, Now right click on the device and click on uninstall. This will now uninstall the driver from your system. When the uninstall has finished reboot your machine, then re-install the driver. Use Old Driver – Still having stop code crashes? If yes uninstall the driver again, then see if you can download an older version of the driver for your hardware. It is possible the latest newest driver has a bug that causes the driver_irql_not_less_or_equal crashes. Hardware Issue – If you are still having an issue it is possible the hardware itself has an issue. Can you replace the hardware just to test if it is the hardware causing the issue. Install Latest Windows Updates – Click on the windows 10 start menu and type in check for updates hit enter then click on the check for updates button. Your system will now contact microsoft and download the latest updates for your system and will install them. a black window will now open, in this window type in CHKDSK C: /f /r you will then get prompted y/n type in y and hit enter. Your system will now reboot and run the CHKDSK, This program could take 20 minutes to 2 hours to run. Run a Full System Virus Scan – It is possible you have a virus on your system which is causing this driver_irql_not_less_or_equal blue screen error. Make sure your local virus scanner is updated and run a full system scan. When the scan has finished run a second online virus scan, I find this scanner very good.